Oklahoma Baptist University welcomes home-schooled students to join our student body. In fact, as of fall 2015, more than six percent of our undergraduate students have come from a home-school setting. At Oklahoma Baptist University, our liberal arts curriculum and exceptional faculty will help you develop strong communication skills, global awareness and the ability to think critically and creatively from a Christian perspective. Consistent with this mission, admission will be based on ACT or SAT scores and a written description or transcript of the home school experience or the high school transcript, respectively. The standardized test composite score must be at the level OBU requires for regular admission, and subscores must meet OBU guidelines for regular class placement. Special assessments or class placement may be required at the discretion of the dean of admissions. Regular admission requires an ACT composite score of at least 20 or a re-centered SAT score of at least 950. English: Four units. Journalism or business English should not be used as substitutes. Math: Three units, including algebra I, algebra II and geometry. Those intending to pursue the Bachelor of Science or the Bachelor of Science in Education in science or mathematics education are encouraged to take as much mathematics as possible, including trigonometry and calculus. Science: Three units of college preparatory science, which may include one unit of general science. The other two should include biology, chemistry, physics or another laboratory science. Those intending to pursue the Bachelor of Science or the Bachelor of Science in Education in science or mathematics education are encouraged to take three units of laboratory science. Social Science: Three units, including courses in American history and world history. Other options include such courses as sociology, economics, psychology, geography and state history. Language: Two units in the same language. Academic Electives: Two units including one unit in computer applications. If you are completing any dual-enrollment courses (college-level courses that you want to use for both high school and college credit), please indicate the name of the college on your Application for Admission. Your dual enrollment coursework should be included on your high school transcript. To determine transfer credit, we will also need an official college transcript and catalog (or a URL to a webpage that contains course descriptions) for each college-level course. 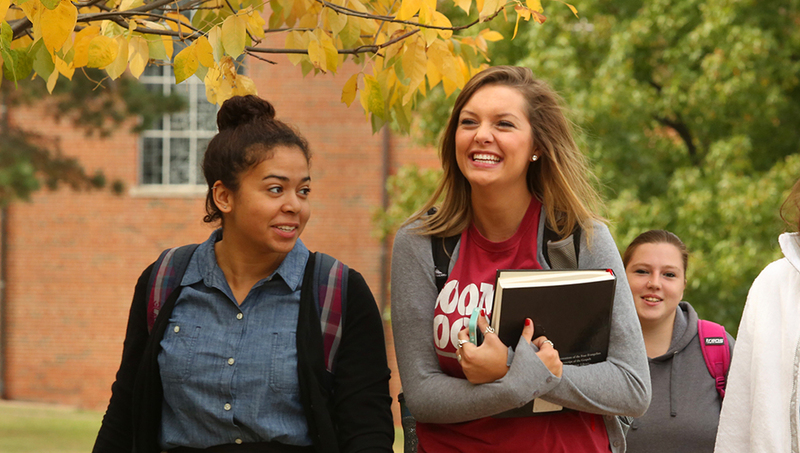 OBU ranks as one of the most affordable private Christian colleges in the country. An investment in an OBU education is a smart investment in your future. OBU is committed to helping students from all financial backgrounds achieve their dreams of a high-quality, Christian education. Our financial aid counselors will work with you to build a financial package just for you. Let us walk you through the financial aid process. You’ll be glad you did. Academic scholarships and grants are awarded to students based on their academic achievement. The awards are not based on financial need and are renewable provided the student maintains the appropriate OBU GPA. Our estimator tool gives you a quick idea of how much you can expect to receive in academic scholarships and it takes less than a minute to complete. You are beyond the age of compulsory attendance of the state in which the college is located. The age of compulsory attendance in Oklahoma is 18. Please see the Financial Aid section for more information. At OBU, our goal is to help you think both globally and locally. The Avery T. Willis Center for Global Outreach seeks to partner with students, faculty, and staff to engage a diverse world. The Avery T. Willis Center for Global Outreach provides opportunities for students to reach out to people in Shawnee, Oklahoma City, the United States, and around the globe. Through global and local outreach, your global perspective will be challenged through the integration of your faith and education. Join us in helping minister to the Nations, whether it be across the street or across the ocean. Our only question is, "Where are you GOing?" Learn more about Global Outreach Trips.